What do I mean by my happy place? You know you have those days where it feels like life is getting on top of you and you need to escape or you need to wake up / fall asleep (delete as appropriate) music is often what I turn to, not a book, the TV but often a pair of headphones and somewhere to relax. Like people who can get lost in a really good book and switch off from the world, the same applies to me when listening to Music. You can be transported to a different period in your life, bringing back a flood of memories to the first time you listened to a track or the numerous times you listened to a song a road trip (Paul Simon always does this for me). I have been thinking of sharing playlists on the blog for a while, I would love for people who interact with the blog, speak to me on instagram or twitter to help build a playlist one day, but I am also thinking of sharing a monthly playlist of songs that are getting a huge amount of rotation that month (would this be of interest to anyone?). Let me know what you think if you have a listen and if you want to ask about any particular songs feel free!! 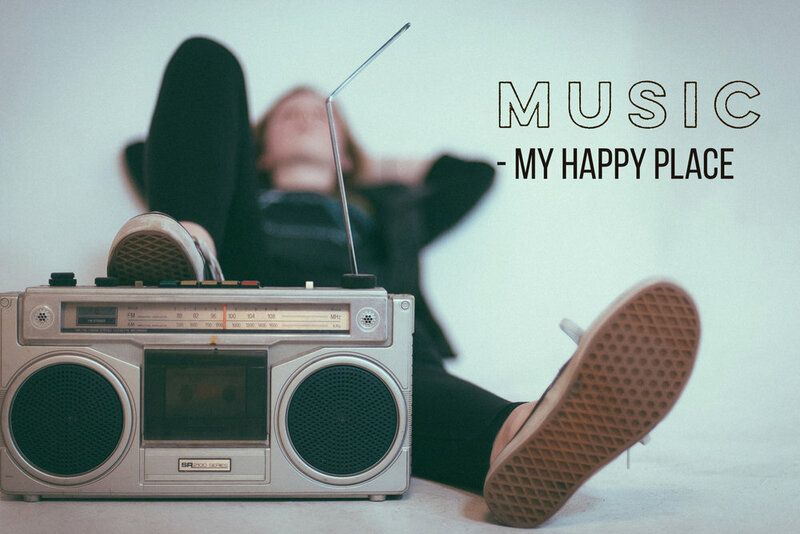 I would add here that even though the place list is called My Happy Place, not all the songs are necessarily happy!